Diet plays an important role in treating sinusitis. If you suffer from sinus problems, you need to learn about foods you can eat to help fight off sinus problems. You also need to know what foods can make your sinus problems worse. Even if you can’t ward off sinus infections completely, a proper diet can help lessen the frequency and severity of sinus attacks. A diet rich in vitamin A can help protect against sinus problems. Vitamin A is an antioxidant nutrient that keeps mucus membranes healthy by forming a protective barrier against viruses and bacteria. Carrots, apricots, sweet potatoes, squash, spinach, broccoli and other colorful fruits and vegetables provide the beta carotene the body needs to maintain mucus linings in the nose and lungs. 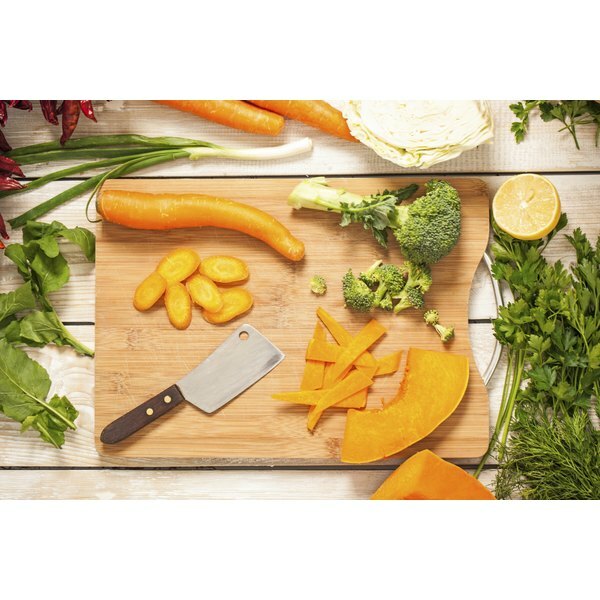 Beta carotene is a source of vitamin A that contributes to proper immune system function; therefore, eating fruits and vegetables help keep your immune system strong. Whole milk, egg yolk, liver and fortified cereals are additional sources of vitamin A. Drinking plenty of fluids every day – especially water – increases the amount of moisture in the body. This helps prevent congestion by thinning mucus and allowing it to drain. Tiny hairs in the sinuses move mucus out through a short tube. As mucus thickens, this tube gets blocked and traps in bacteria. For best results, drink at least eight glasses of water a day. Warm liquids such as tea, clear broth or lemon water with honey can also help loosen mucus and ease congestion. Drinking milk and eating dairy foods could be contributing to your sinus problems. Milk thickens mucus and narrows your nasal passages causing sinus pain and pressure. Mucus dripping down the back of your throat also causes irritation. Although milk doesn’t cause your body to make more mucus, according to Dr. James Steckelberg, a professor of medicine at Mayo Medical School, whole milk is high in saturated fat, which can make you more susceptible to colds and the flu. Although it’s normal for mucus to be in your nose and throat, increased mucus production can be a symptom of a viral infection such as cold or flu. Select low-fat or nonfat dairy products and avoid eating too many processed foods, as these are also high in saturated fat. Limit your consumption of alcohol. Drinking alcohol can cause your nasal and sinus membranes to swell, making them more prone to infection, reports the American Academy of Family Physicians. Alcohol acts as a diuretic causing you to become dehydrated. This dries and thickens mucus, which can block the opening of the sinuses. Sinus problems can also occur when people are allergic to ingredients in alcohol that cause an allergic reaction, swelling the tissue inside the nose and sinuses.